Tour Feature: Land tour + well selected hotel + domestic flights/trains, private airport/train station transfers and scheduled coach sightseeing with shared guide and driver in the cities. Detailed Itinerary: Today you will travel the Expo Site by your choice of transport - subway, bus or taxi. Your guide will provide instructions. A CH cell phone rental provides a convenient way to stay in contact with your guide during your Shanghai Expo tour. Yuyuan Garden (1 hour): Located at a very busy marketplace in a complex of traditional-style buildings, backing onto Yu Gardens, you can find everything there from popular local snacks and food, crafts, antiques and souvenirs to Starbucks, teahouses and some great restaurants. There is a small (reconstructed) Temple (Chenghuang: Temple of the City Gods) in there as well. Shanghai Urban Planning Exhibition Hall (1 hour): A short walk across Renmin Square from the Shanghai Museum, this is a fascinating insight into Shanghai's future. The 2nd floor has a giant walkaround model of the city, and other floors have great displays, interactive exhibitions and walkthroughs of aspects such as the ports, greening, leisure etc. 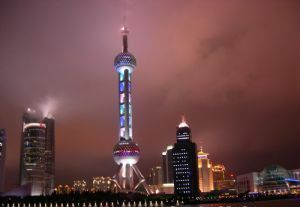 The Shanghai World Financial Center (40 minutes): The Shanghai World Financial Center is a super tall skyscraper. It is a mixed use skyscraper, which will consist of offices, hotels, conference rooms, observation decks, and shopping malls on the lower floors. The hotel component has 175 rooms and suites and goes by the name: The Park Hyatt, Shanghai. On September 14, 2007, the skyscraper reached 492.3 meters (1,615.2 ft) and became the tallest structure on mainland China, including Hong Kong, as well as the world's third tallest building (including unfinished ones), after the Burj Dubai and Taipei 101. The Bund (40 minutes): Once the home of the foreign traders and major banks, the embankment has taken on a new vitality; lovely old European-style buildings mix with futuristic developments, chic restaurants, top end shops and bars offer plenty to see and do – and by night it's magic! Seagull Place: Seagull Palace is located along the Huangpu River. The main building is in shape of a huge seagull, and is one of the signature buildings in Shanghai. It serves a Shanghai-Style food and is decorated in a western style. Jiangnan Silk Museum: See how silk is produced from the cocoons of silk worms, and turned into the beautiful fabric we all know and love. Silk filled duvets are excellent value, and the showroom offers everything from small souvenirs to larger items. The beauty of real silk is that it's so light, and packs really easily. Humble Administrators Garden (1.5 hours): The garden is the best representative of Chinese classical gardens, constructed in the Ming dynasty,which focuses on a central pond with pavilions, terraces, chambers, and towers located nearby, the garden is divided into three parts: the eastern, middle and western parts. At 5 hectares the largest of these beautiful gardens, it is one of the most famous one. It provides everyone with pleasure. Don't miss the Garden Museum - actually don't miss any of this lovely place. Tourists may wear comfortable shoes, as there's a lot of walking here. Lingering Garden (1 hour): Suzhou is famous for its gardens.Lingering Garden is an elaborate succession of small gardens. Lingering in a garden you will marvel at its unique architecture and art. 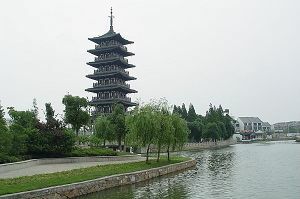 It is located on No.338 Liuyuan Road, Suzhou City. Designed to "linger" through the generations, with a succession of small beautifully landscaped gardens, pools and pavements and a pavilion for each season. It has wonderful covered walkways, carved corridors, elaborately shaped doorways and perfect viewpoints for a variety of perspectives on this special garden. Rickshaw ride (1.5 hours): Through the old streets & Hutongs in Suzhou, you will see local people's life. Yangyang Dumpling Restaurant: Originally established as a dumpling factory, Yangyang has developed into a restaurant serving diversified cuisine. Combining traditional delicacies with western-style food, Yangyang has been recognized by overseas tourist magazines. 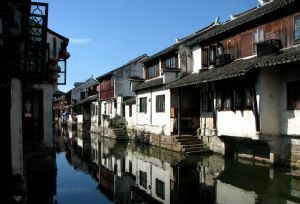 Zhouzhuang Water Town (3 hours): Zhouzhuang is an ancient culture town in Southern China. The town is surrounded by water with many branching streams, stone bridges and old residence with black tiles and white wells.Such an ancient water town on an island in a lake in the "land of rice and fish". Visitors may explore picturesque narrow canals, little streets, bridges and overhanging traditional houses,visit well-preserved old residences with good displays, eat delicious fish or other local delicacies and enjoy the balladeers in the waterside teahouses. The drive from Suzhou passes through fertile farmlands full of lakes, canals, barges, ducks, rice, corn, bananas; everything grows here! Cruise in Zhouzhuang: Zhouzhuang is an ancient culture town in Southern China. The town is surrounded by water with many branching streams, stone bridges and old residence with black tiles and white wells. * Prices are in US dollars, for one person. Prices are for references only, may vary according to your travel time. Better discount is available when travel in low season from Dec to March. If the restaurant indicated is not available on the day, your guide will arrange another restaurant from our list of approved restaurants. Breakfast is usually a western style buffet. We endeavor to ensure that a choice of western and Chinese breakfasts is supplied, however there may be occasions when only a Chinese breakfast is available in some remote locations. Private Transfers: Transfers between airports, hotels and scenic spots while sightseeing in Shanghai, Suzhou by private air conditioned vehicle with a driver and English-speaking guide (as listed above). Guide: As outlined in the itinerary an English-speaking guide and driver will be provided in each city, who will remain with you throughout your time in that city. A new guide and a new driver will meet you at each city on your tour, to provide you with the best local knowledge available. Hotels: Hotel fees are based on two people sharing one room with twin beds. 1. ForeignerCN.com is partnering with a local China tour operator China Highlights. Your inquiry will be operated by the professional travel advisers of China Highlights, and you will receive their response with a proposed itinerary and cost calculation within 1 working day . 2. If you have any other questions about tour booking, please contact China Highlights by calling 800-268-2918 (Toll Free in USA) at 9:00am to 6:00pm (GMT+0800), Monday to Friday.